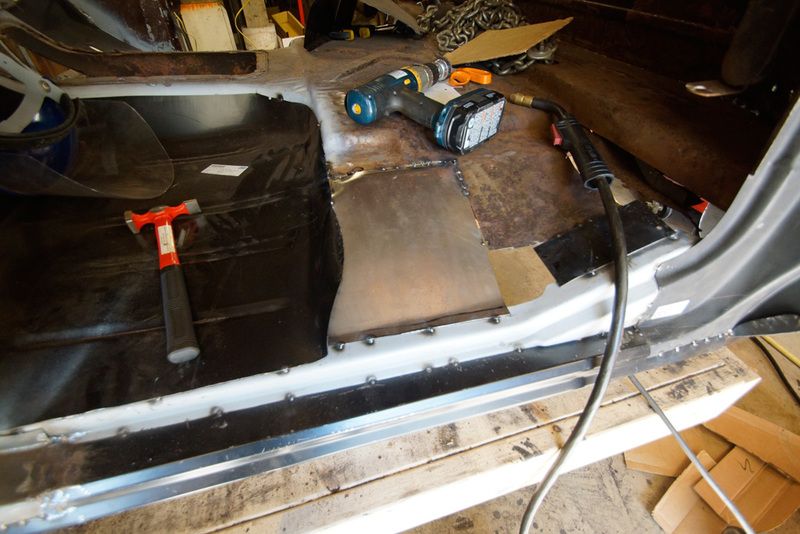 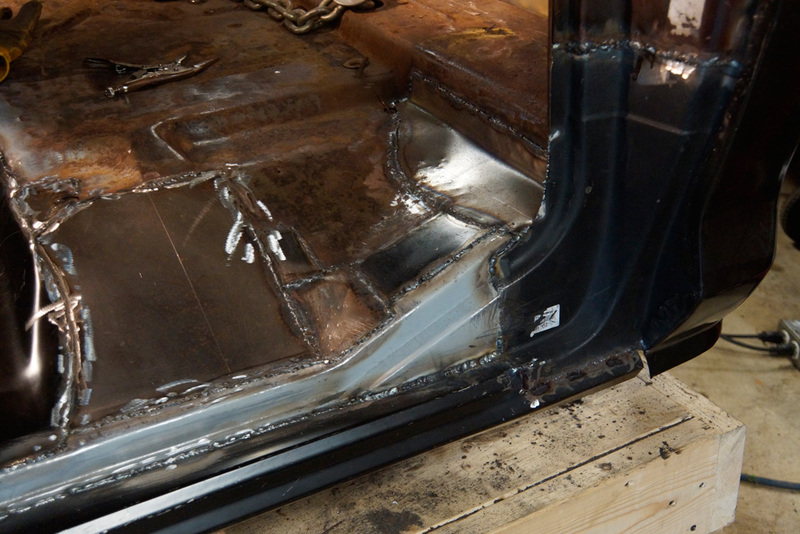 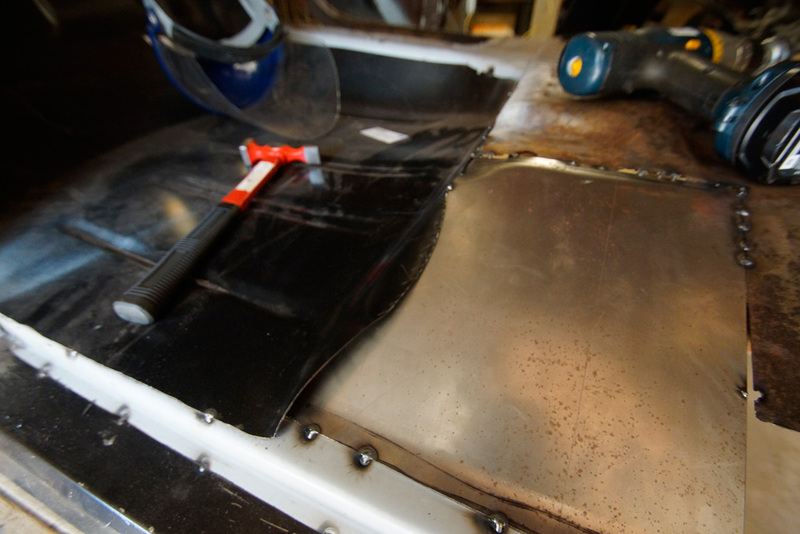 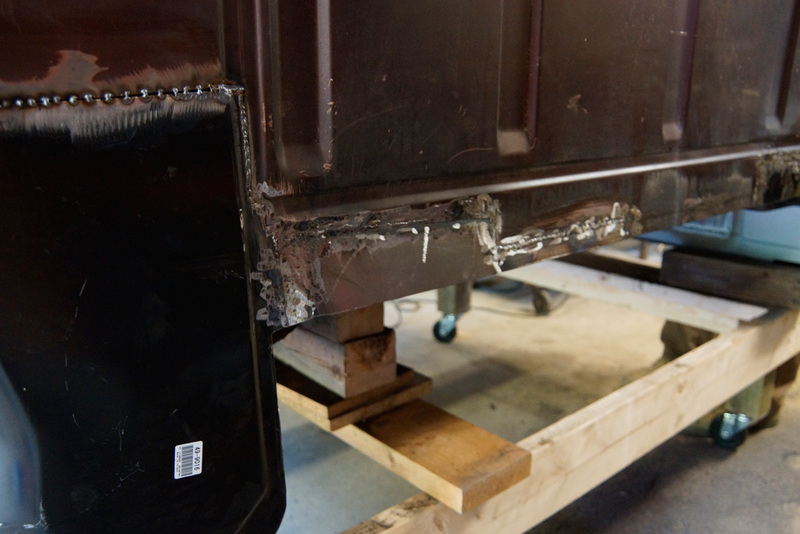 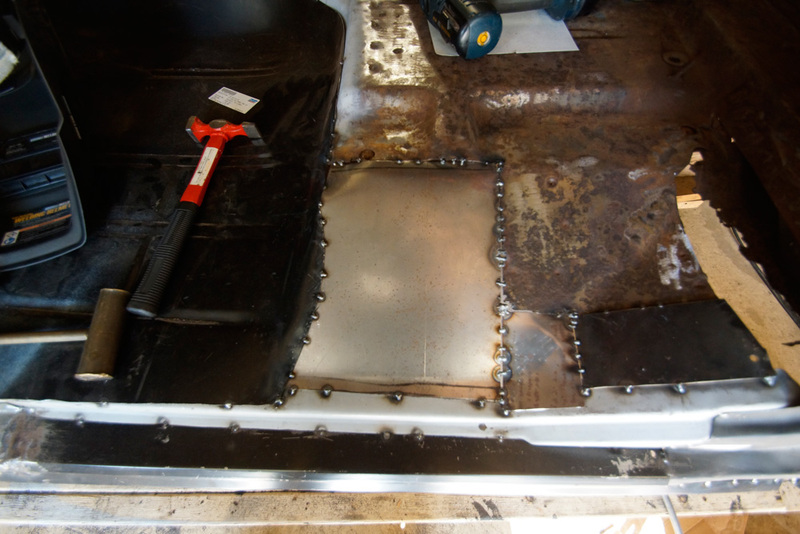 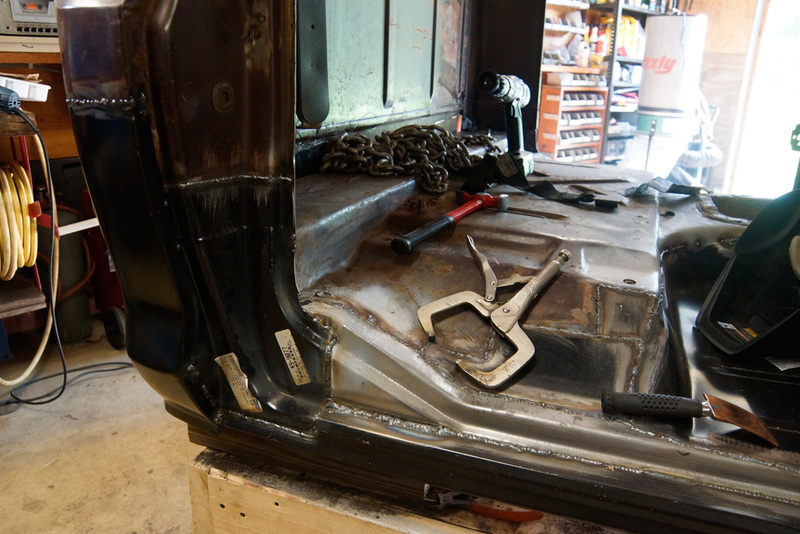 After getting the pre popped LMC parts welded in place we had to move onto metal fabrication. 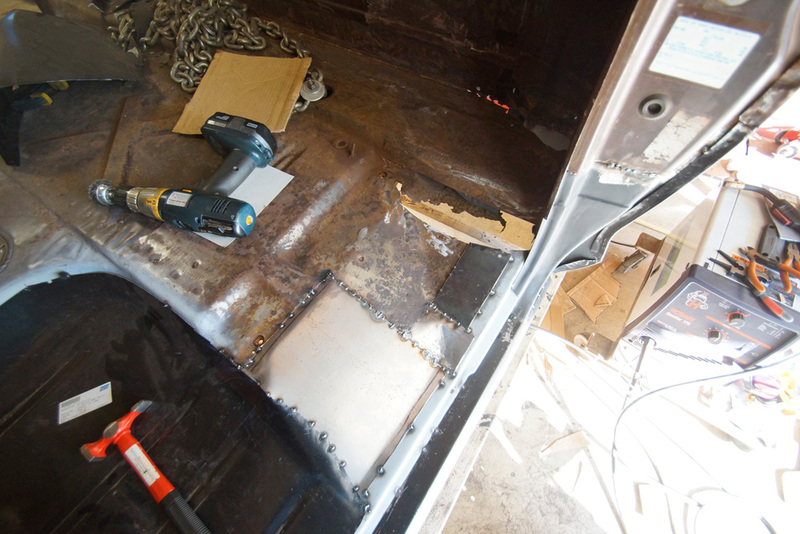 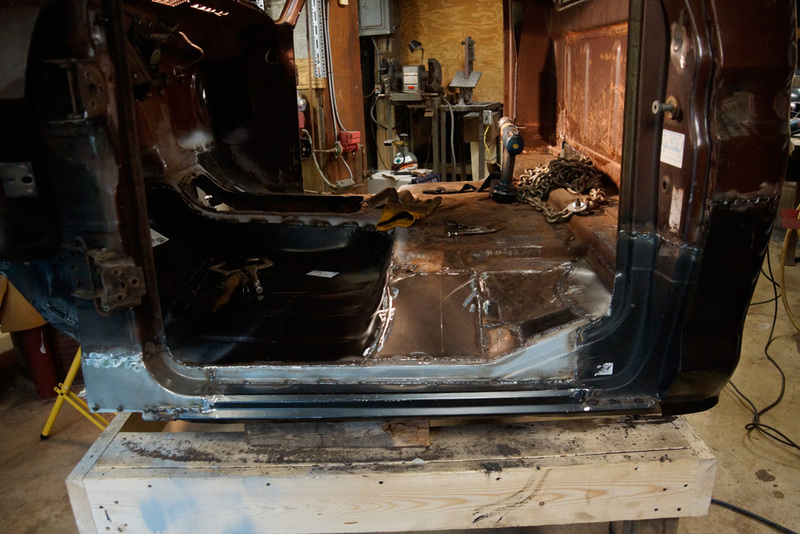 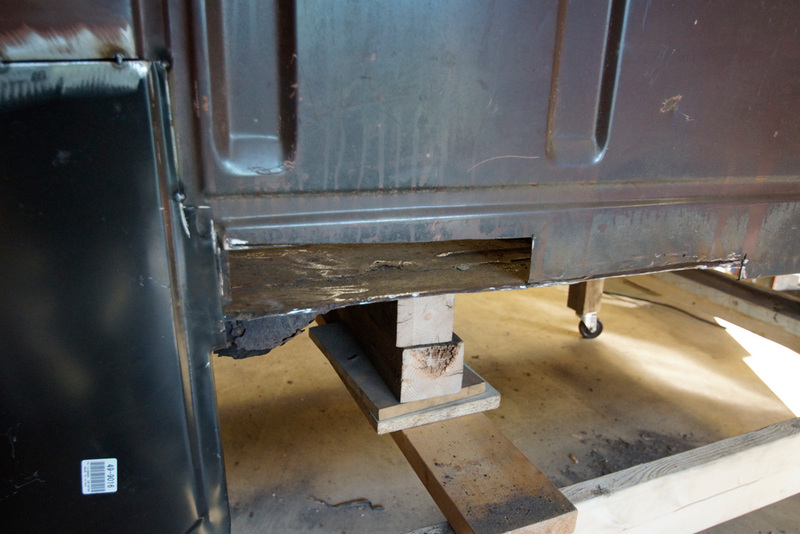 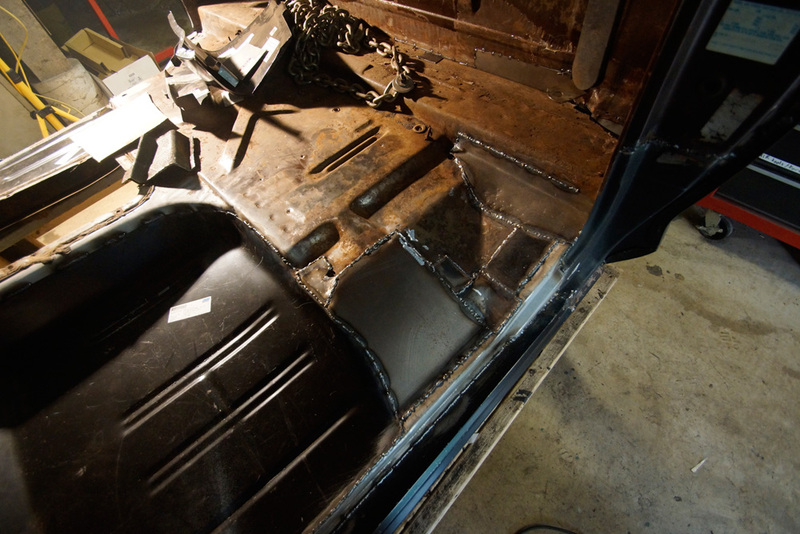 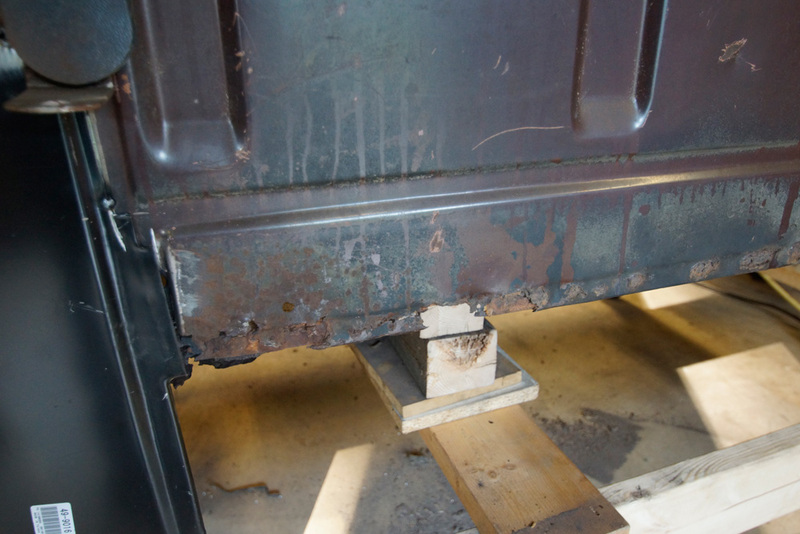 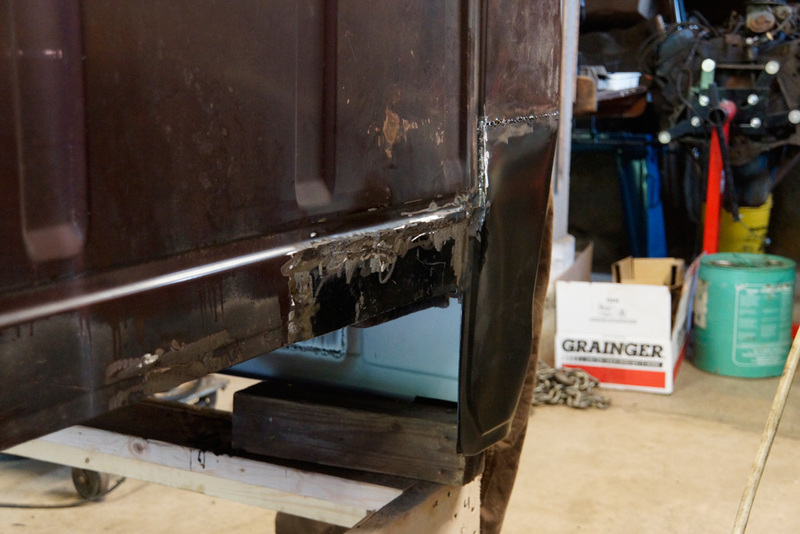 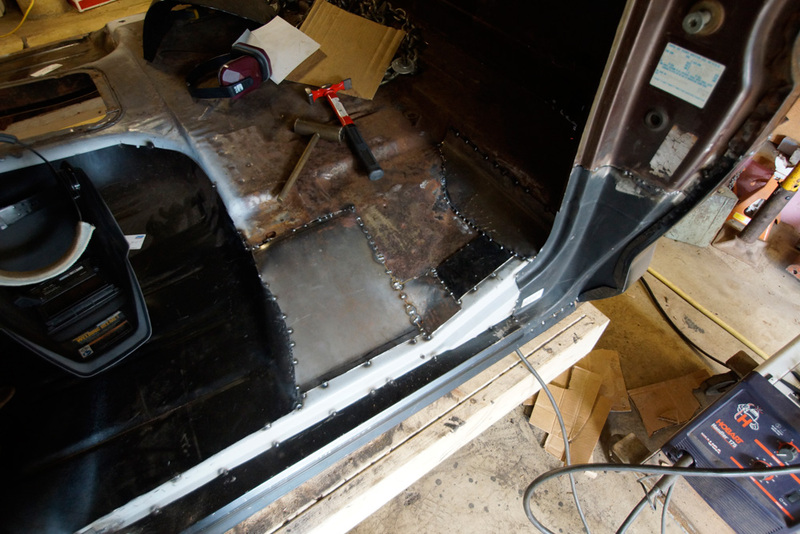 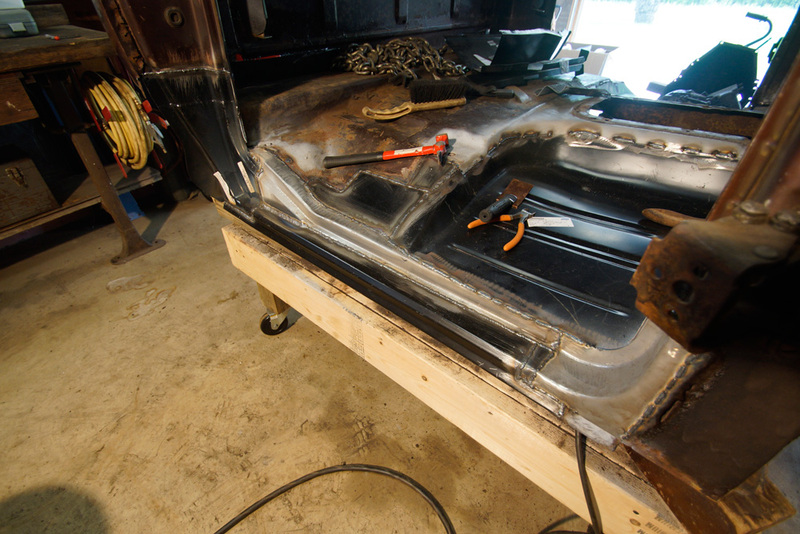 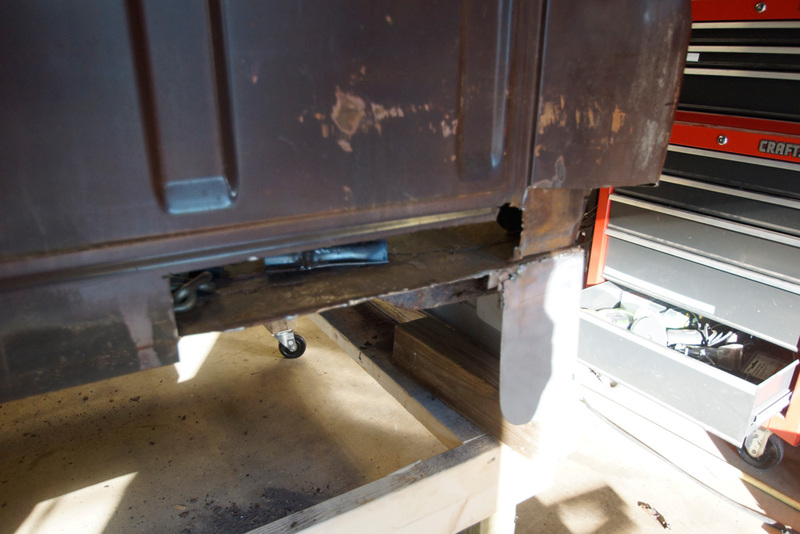 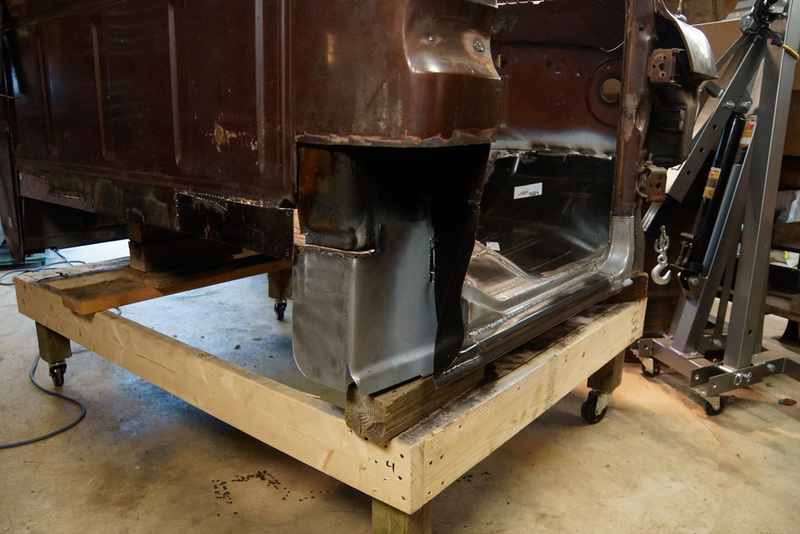 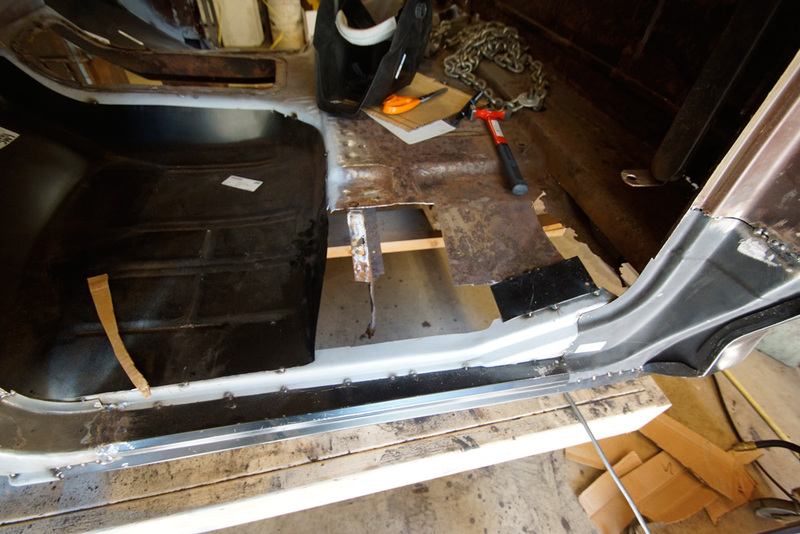 So much of the cab was rusted out that the pieces we had to cut out were not available as re-pops. 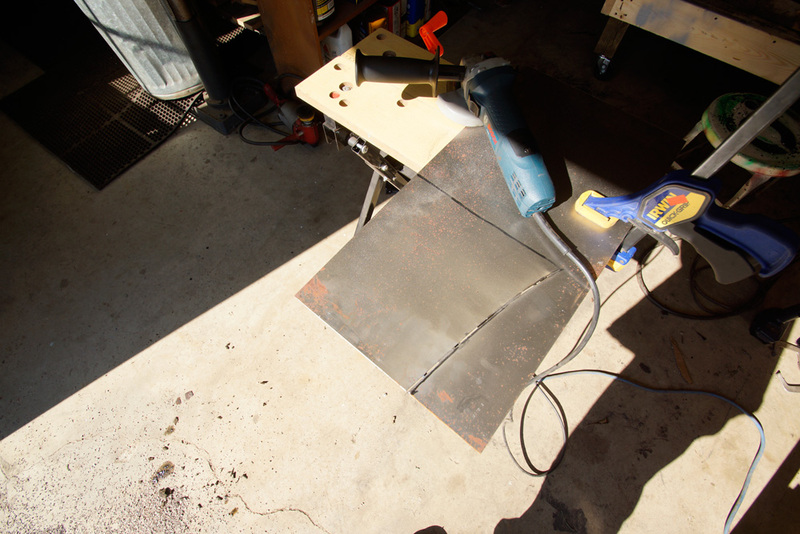 I just made some simple cardboard templates and cut out some 20g sheet metal to fit in those spaces. 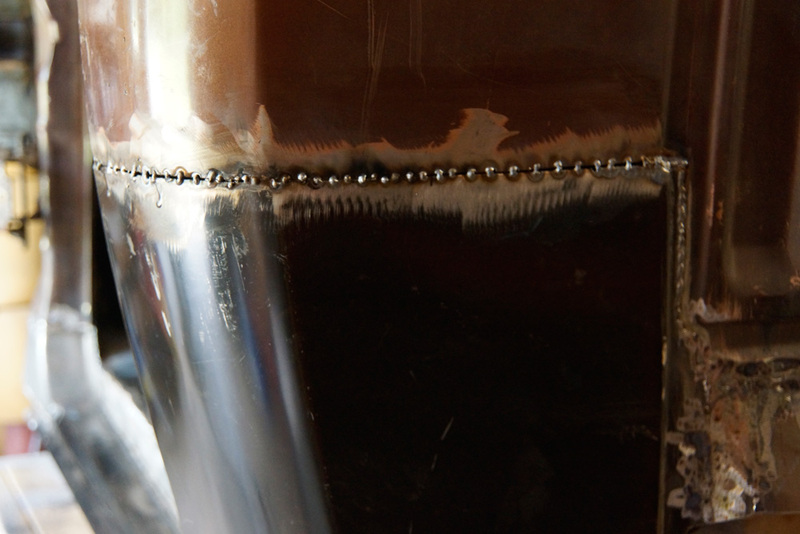 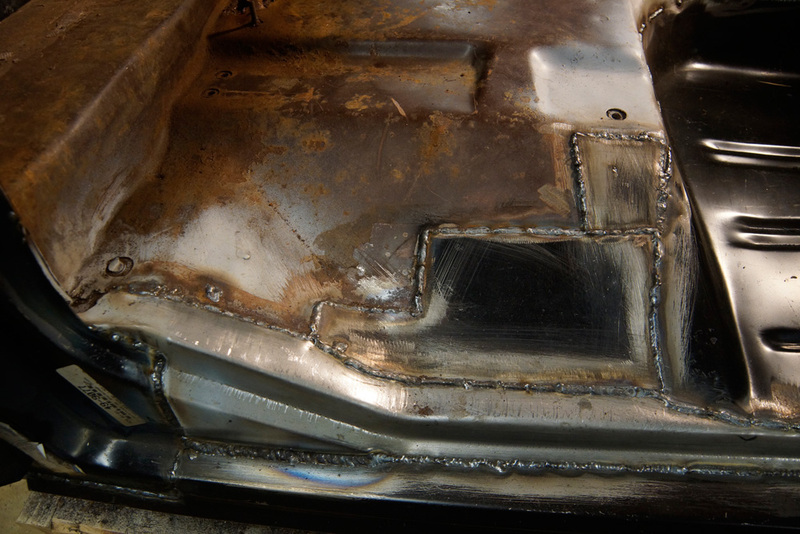 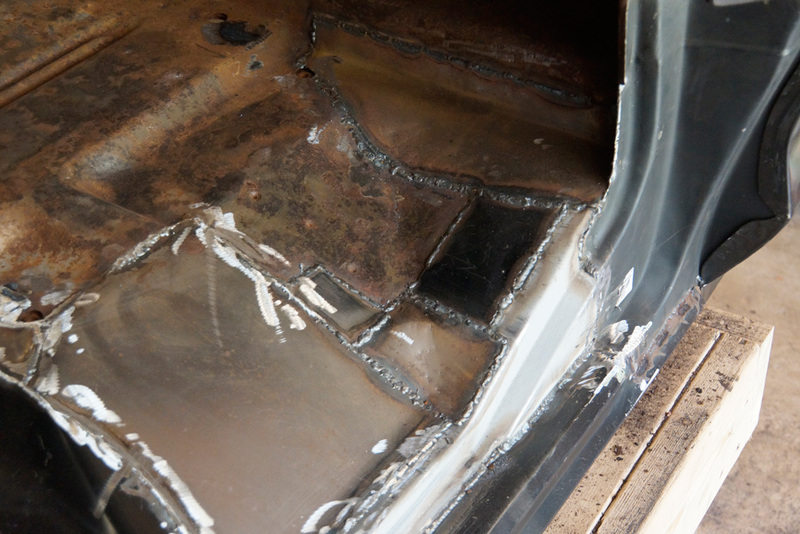 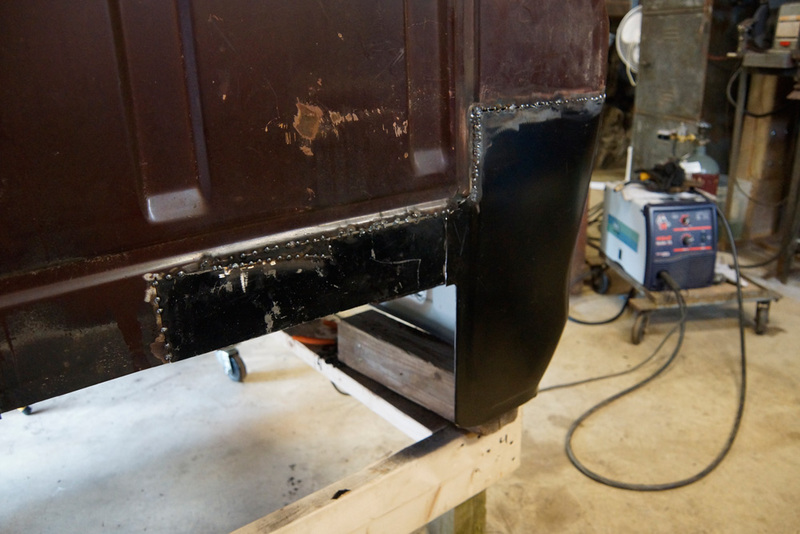 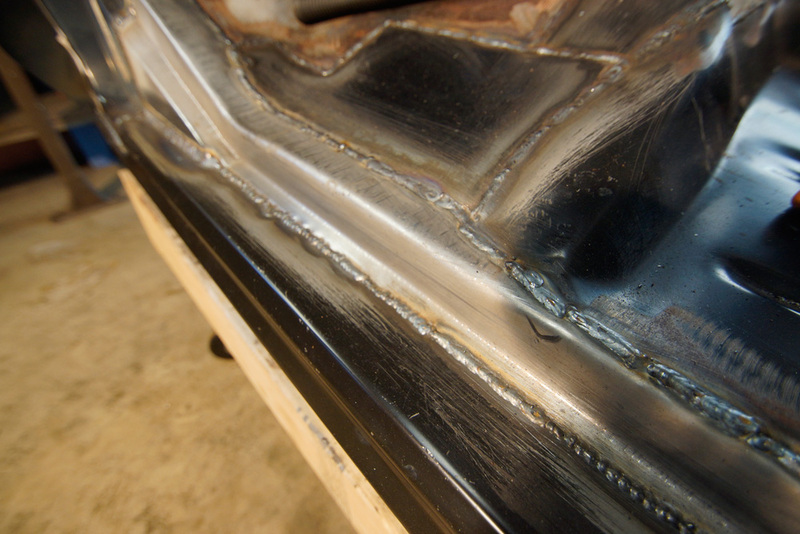 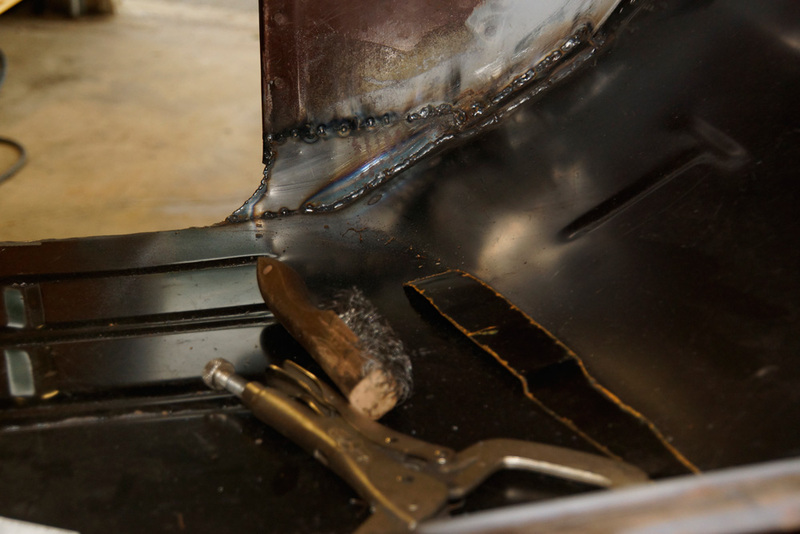 I went overboard with the welding as I wanted it to be strong and solid as opposed to looking good. 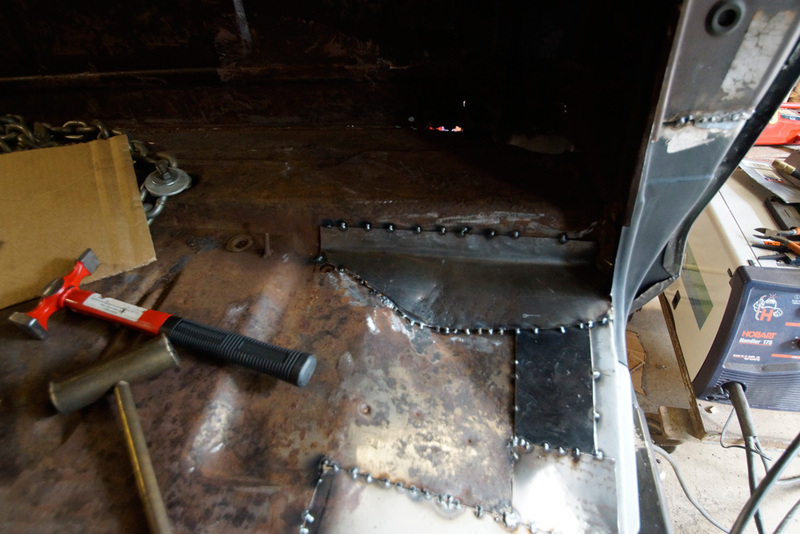 I plan to grind down, paint, bed line, and then carpet the floor so the seams shouldn’t be visible.